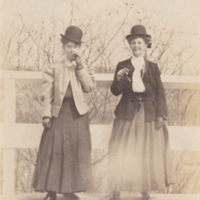 The two women are standing on a bridge enjoying a smoke. It's possible that this is a photo taken later of two women dressed in period costumes. 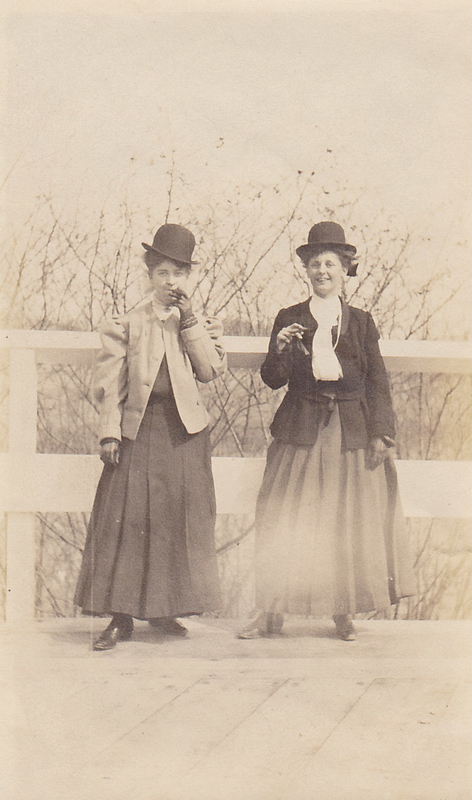 “Cigar Smokin' Gals - early 1900's,” Maynard Historical Society Archives, accessed April 23, 2019, http://collection.maynardhistory.org/items/show/3878.